Céad míle fáilte - Welcome! 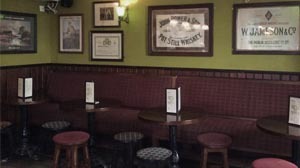 Owned and run by an experienced Irish publican, The Shamrock Pub is a cozy pub located in the heart of Luzern, Switzerland. 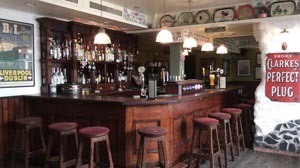 We pride ourselves on being the kind of pub where anyone can come to relax, eat, drink and have the craic (enjoy the fun). Whether you are coming out for a pint, to make new friends, see a sports event or to take part in our ever popular Pub Quiz, we look forward to seeing you. Don’t miss out on our live traditional music session on Thursday evenings. The Shamrock offers some of the finest Irish and international beers including Guinness, Kilkenny and Magners Irish Cider on Tap. Local Brews including Feldschlösschen and Naturfrisch. If you’re looking for a delicious homemade meal then look no further then our kitchen. We have all the traditional Irish favourites from Beef & Guinness Stew to Cottage Pie and much more. Come in for a pint and stay for the craic! Come and sing your heart out (and get a free beer for your performance…)! Great food, great beer, live sports and lots of fun!